Maxthon 3: Feature for Fans! 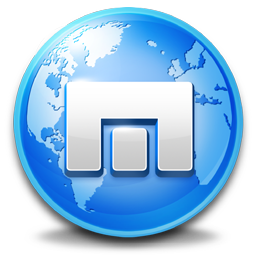 Here comes something exciting for all the Maxthon fans. In an effort to thank its users, China’s most popular web browser asks you to decide, what should be implemented next? Lock the browser to let others unable to see your web pages when you leave. 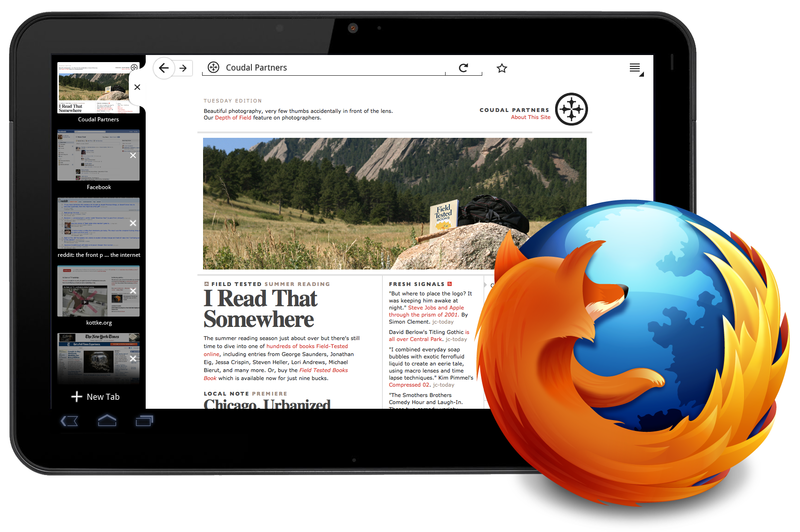 The latest nightly builds of Firefox web browser now includes a new download manager, which can be accessed via icon or simply by tapping CTRL+J keys. As seen in the screenshot above, it looks like Mozilla hasn’t just implemented a yet another icon. Instead, users will be able to see download progress and its estimate without accessing the mentioned download manager. 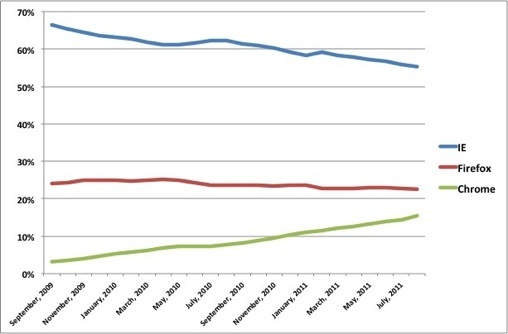 According to various reports, the latest Firefox 9 nightly builds score up to 32% more in JS benchmarks when compared to Firefox 6 and it’s not even finished yet. Microsoft’s Internet Explorer will lose its place as the majority browser next summer, according to statistics published by Web metrics company Net Applications. It looks like Mozilla is implementing more and more features from its competitors. 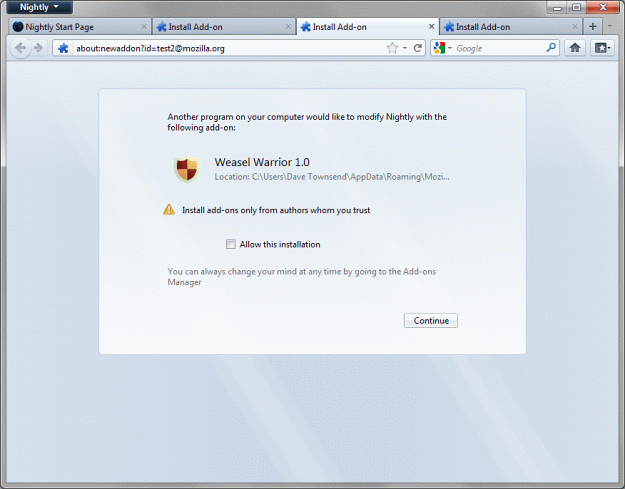 Just like in Internet Explorer 9, starting with Firefox 8, Mozilla will automatically block web browser add-ons that are not yet approved by the user. 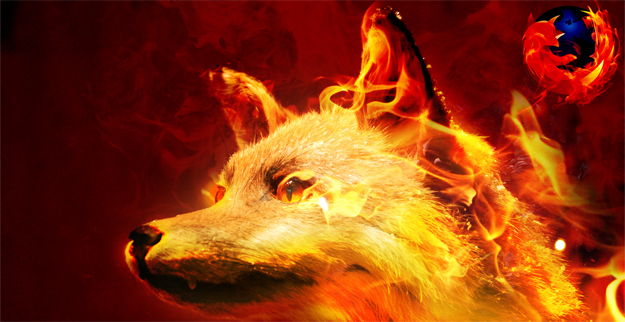 In case other software installs an add-on, Firefox 8 will disable it and notify the user. In the world where a plenty of companies inject their add-ons into Firefox, such as: Skype, anti-virus software, etc. it’s a very welcomed step nonetheless. Mozilla’s chairwoman Mitchell Baker responded to criticism regarding the rapid release cycle in a recent blog post. She started by acknowledging the problem and ensured that while the current rapid release cycle is far from perfect, Mozilla is working hard to make it more useful for the majority of its userbase. However, due to the rapidly changing nature of the Internet, Baker believes that it is necessary for the browser to follow this breakneck pace. Mozilla will not get rid of the version number present in Firefox’s “About” box after all, putting an end to a rather heated debate that first surfaced a few weeks ago. In another message in the mozilla.dev.usability discussion list, Faaborg blamed “miscommunication inside of the user experience team” for the commotion about the departing version number. Welcome to the 4 years ago. According to the latest article on wiki.mozilla.org, Firefox 9 will be borrowing various Opera Speed Dial elements (introduced in Opera 9.2 on April, 2007) for its own good.